This race is capped at 400 entrants. Entries will be accepted until we reach 400. New for 2018: running the parade route before the Kitchener-Waterloo Santa Claus Parade! Your favourite holiday run is back! Read last year's recap here and see more photos here. 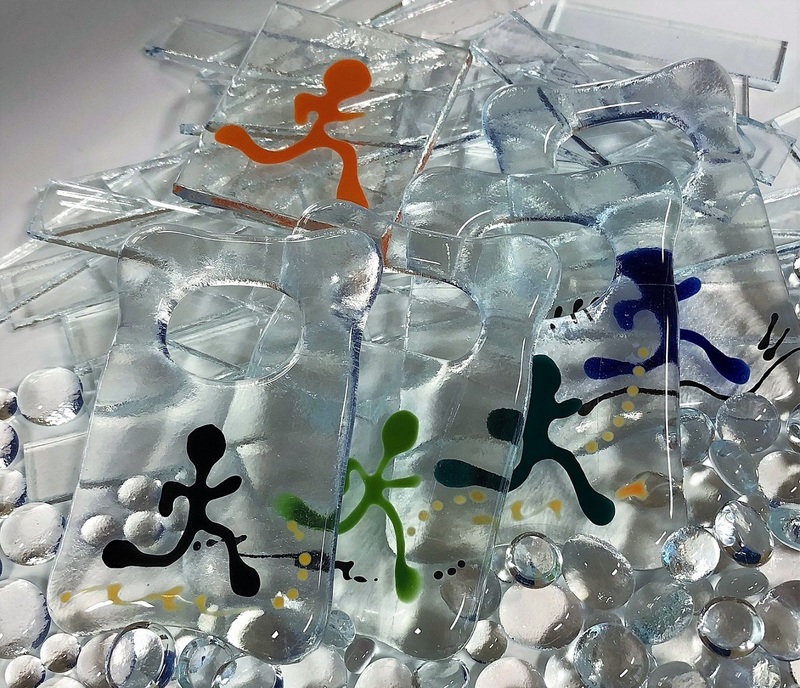 Every finisher will receive this custom glass finisher ornament to wear, keep, and display. Don't miss out on this 2018-only gift! The signature feature of this event is the hundreds of Santas running down the street. This means that the suit is mandatory! Participants will receive a full Santa Suit with the entry fee. The suit consists of a jacket, pants, hat, beard and belt, and the entire Santa Suit must be worn during the event. In the spirit of the event, any participant not wearing the full Santa Suit will be removed from further participation without refund. 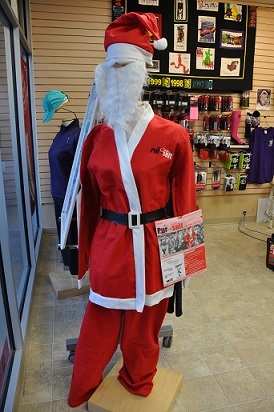 Please remember to keep your Santa Suit for the following years, to receive an entry fee discount! The Santa Suits come in three sizes, Mens, Womens, and Youth. They are on the large size, so many people choose a smaller size. We recommend picking up your kit and suit at the Friday kit pickup so that you can tailor your suit before the race! Mail in: 2 Weberlyn Crescent, Conestogo N0B 1N0 by Tuesday November 13 at 5:00 p.m.
Drop off: Runners’ Choice, 55 Erb St E, Waterloo by Tuesday November 13 at 5:00 p.m.
Online: Right here at www.RaceRoster.com by Wednesday November 14 at 6:00 p.m.
Weber St N and Erb St E, Saturday November 17, 8:00 a.m. - 9:30 a.m.
3 KM: Running on Weber St, from Frederick St, Kitchener to Erb St E, Waterloo, along the parade route immediately preceding the Santa Claus Parade. 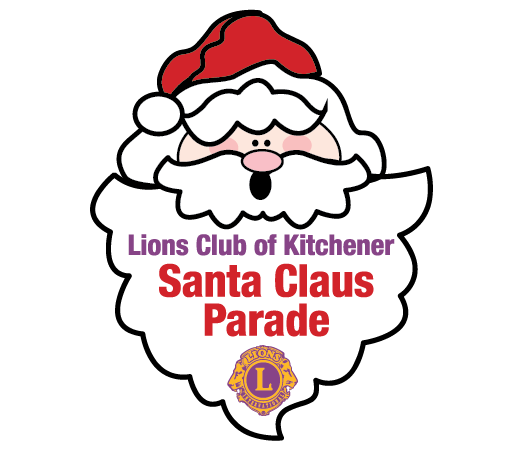 1 KM: Running on Weber St, from Hartwood Ave, Kitchener to Erb St E, Waterloo, along the parade route immediately preceding the Santa Claus Parade. Shuttle buses will transport participants to the start line (the start lines at both Hartwood Ave and Frederick St) from Royal St and Weber St N starting at 8:00 a.m. Last bus will leave at 9:15 a.m. 1 KM participants will be dropped off at Hartwood Ave and Weber St and 3 KM participants will be dropped off at Duke St and Queen St. There will be portable washrooms in the parking lot of the Bridgeport Plaza that can be used prior to shuttling up to the start of the race. There will be a portable washroom in the Civic Centre parking lot which is near the start, which can be used prior to the race. 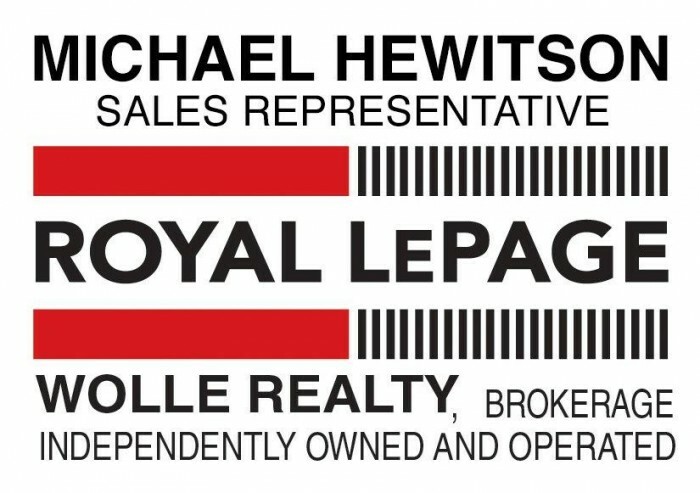 Enjoy a variety of refreshments, musical entertainment and draw prizes following your run. $100 in prize money will be awarded to the top Open team if there are at least 5 eligible teams in the official results. All unclaimed medals will still be available for pickup at Runners' Choice any time after Monday November 26, 2018. The sponsors recognized on this page have generously contributed financial support, products and/or services to The Santa Pur-suit and we encourage your ongoing support of these generous companies and organizations. Check out our website at RunWaterloo.com for thousands of photos - all free to download. November 17 10:05 AM EST - 3 KM Race Start promptly at 10:05 a.m. Late starters will not be permitted. November 17 10:25 AM EST - 1 KM Race Start promptly at 10:25 a.m. Late starters will not be permitted.